Sorting and weighing the sheep then moving them to the pens. Sheep in the pens before being weighed. 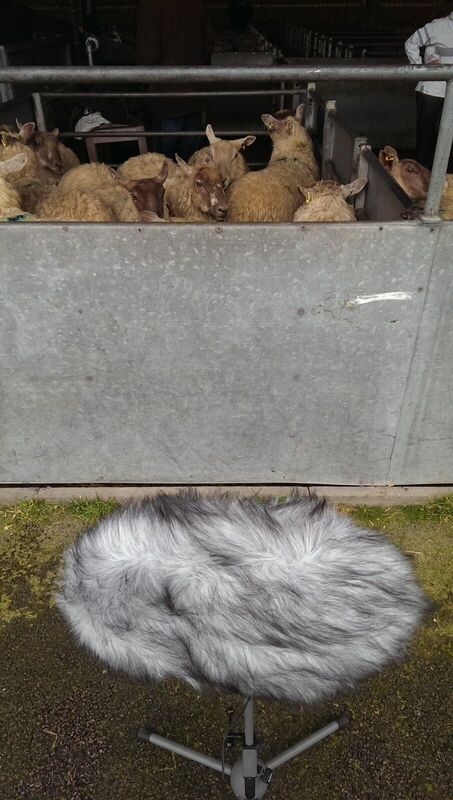 The first of three recordings (the others are of cattle here and an actual auction here). Driving along the Ipswich Road in Colchester one day, I noticed a road sign pointing towards a ‘Cattle Market’. Ooh, I thought, as there is an old recording of Chelmsford Cattle market in the Essex Sound and Video Archive. I found Stanfords on the internet, dropped them a line, and Graham Ellis said that he’d be happy for me to come and record the proceedings there. In this recording you can hear the movement of sheep through a complicated system of gates and pens; an assortment of calls and noises made by the folk there in order to move the sheep along; and the weighing machine.